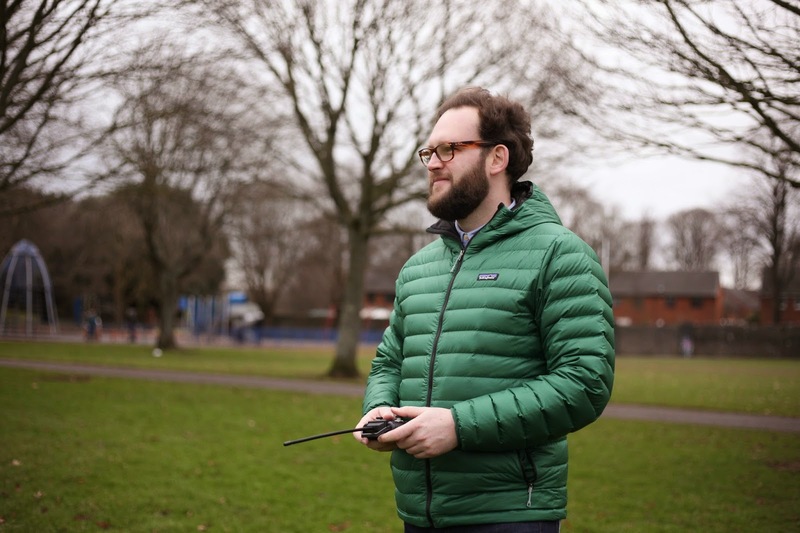 We have really been enjoying the dryer weather of late, last weekend we had a little forest jaunt around Bute Park followed by a great family day out on New Years day in Pontcanna Park testing out the remote control car Mr A was given by his Uncle. 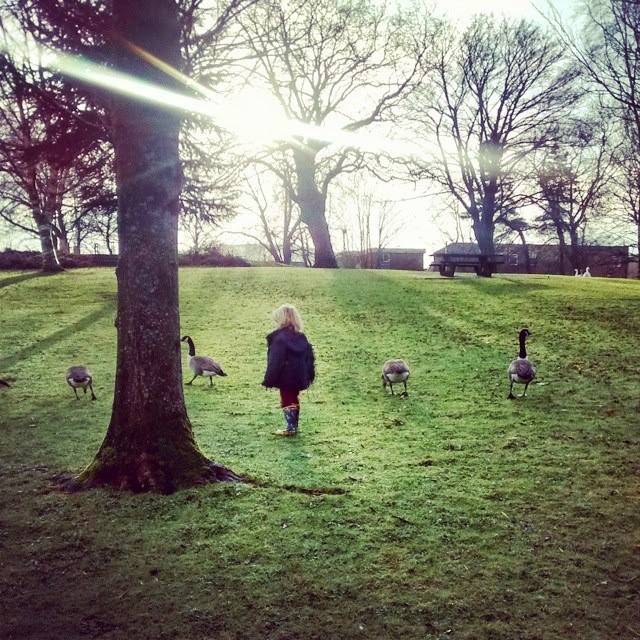 Mr A and I also had a lovely afternoon walking around Caerphilly Castle and surrounding land, getting our wellies muddy and saying hello to our fiends the Geese. These kind of simple days are the ones we enjoy the most. 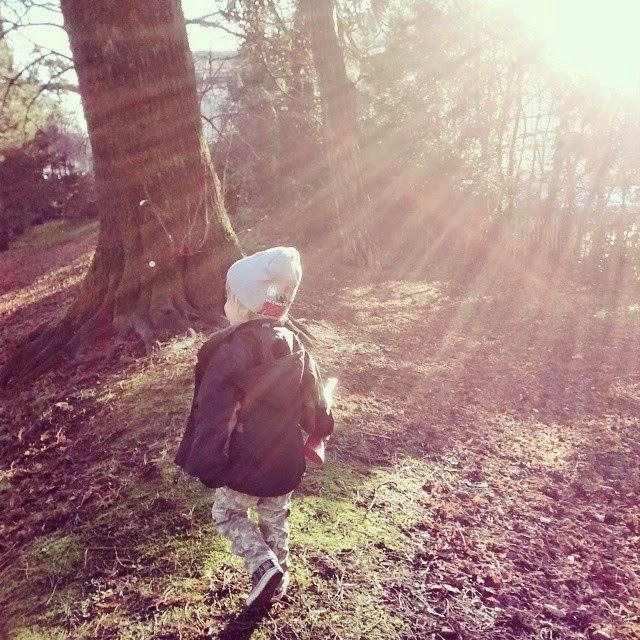 We always feel so much more refreshed and energised after time spent outside, even when it's very chilly - as long as you have a decent pair of wellies a good jacket and thermal underwear your pretty much set. I know that as I get further into my pregnancy that our adventures are sometimes not as long or as far afield as usual but I do know that remaining active has been very important to me as there are simply so many positives about spending time in nature for all of the family and both the little man and I always feel stir crazy after a rainy day spent in the house not matter how fatigued I may feel. 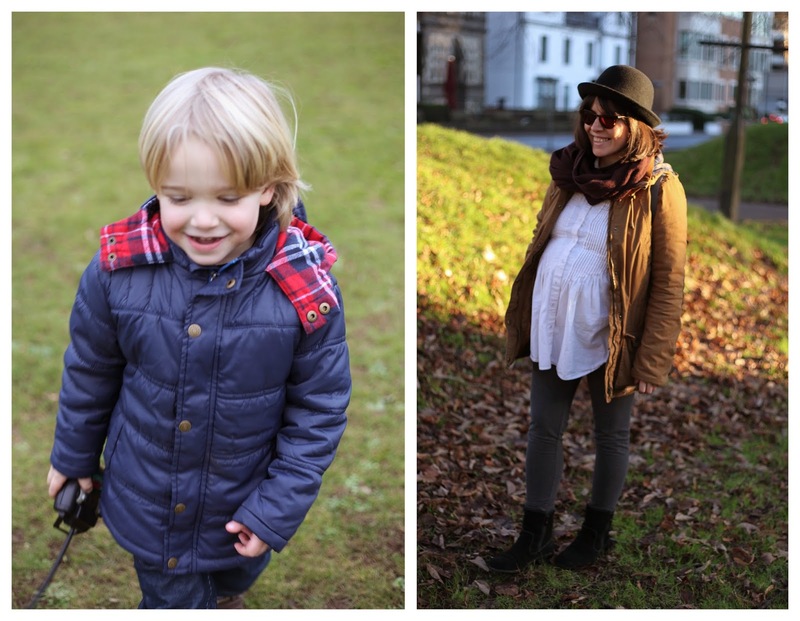 Stunning pictures of a lovely wintery day out. Looks like you all had fun. You can't beat a dose of fresh air at this time of the year. This looks like a lovely day it, it's great that you're still getting out as much as possible with the ever-growing bump. 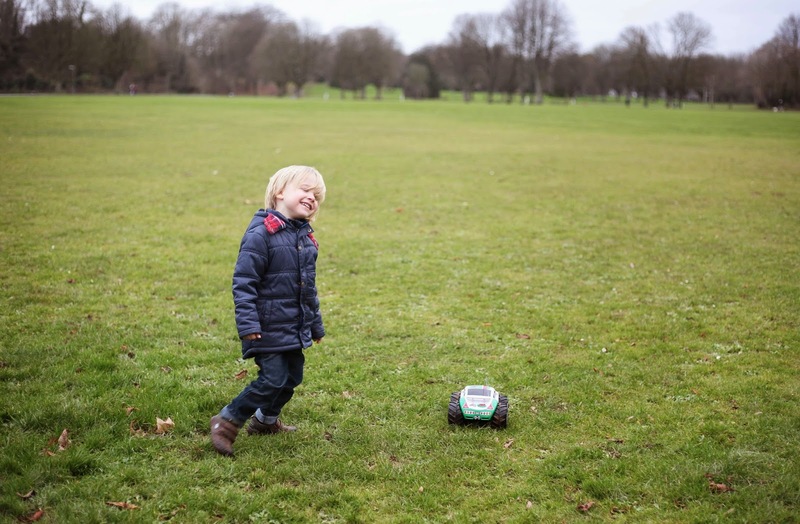 Mr A looks like he's having a great time running around in the open spaces and making the most of his outdoor time. Thanks for linking up with Country Kids. You're looking fab Laura, lovely images, and getting out always does us the world of good too. ahh, this is so lovely! I'm the same, i have to get out at the weekend (not a problem in the week with school runs!) or else I go crazy! Such beautiful light! I love it. Getting out at this time of year is so important.